Not only can Section 179’s Deduction make a significant difference on equipment costs, but there’s even a Deduction Calculator for 2018 that can help estimate your tax savings. So how much money can your business save this year? Try using this simple calculator. In order to use the Section 179 calculator, you’ll first need to input the cost of the equipment, the estimated life of the equipment, and your marginal tax rate. These are the three components that determine how much you’ll save by electing the 179 Deduction versus standard depreciation methods. If you’re unsure of your tax rate, reference the previous year’s tax bill as a guide, or ask your accountant for help. You can also click here to discover your marginal tax rate. Good news! The deduction limit for 2018 was raised to $1,000,000. This is a hefty deduction, and means that businesses can deduct the full cost of equipment from their 2018 taxes, up to $1,000,000, with a “total equipment purchased for the year” limit of $2,500,000. Section 179 is designed to benefit small to medium businesses that purchase between $5,000 to $2,500,000 worth of equipment. The full deduction can be claimed until that $2,500,000 number is reached. Then, the deduction is lowered on a dollar for dollar basis (then it disappears entirely once $3,500,000 worth of equipment is purchased). This deduction can make an impact to your bottom line at the end of the calendar year. To take advantage of Section 179’s benefits for 2018, the equipment must be purchased and put into service before midnight on 12/31/2018. To clarify, it’s not enough to just purchase the equipment — you must also put it to use in your business during this time. Also, please note that Section 179 savings are not automatic; you have to elect to use Section 179 by submitting Tax Form 4562 to claim your deduction. Be sure to keep records of the business equipment you bought or leased during the year, including where you acquired the equipment from and the date the equipment was acquired and put into service. 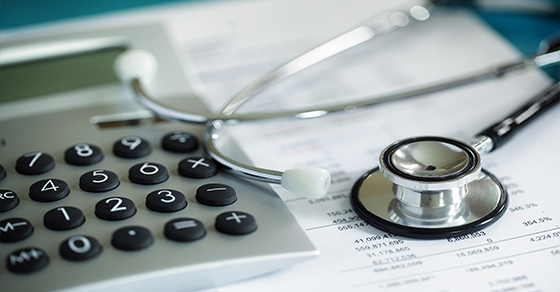 If you’re considering procuring equipment for your medical facility before the end of the year to take advantage of these deductions, Auxo Medical offers competitive rates on refurbished and reconditioned medical equipment. We provide reliable medical equipment and services to ambulatory surgery centers, hospitals, laboratories, private physician practices, and more. Give us a call at (888) 728-8448 or contact us here.